In response to Janet's query, these were shot indoors, the same location as the panorama I posted a couple of days ago explained the disaster that had befallen this small local conservatory. It will be the better part of a month, depending on the weather, before daffodils bloom outside here. In response to another query, yes, this is a somewhat pale, or I should say, pastel variety of daffodil. Very pretty, love the delicate yellows !! 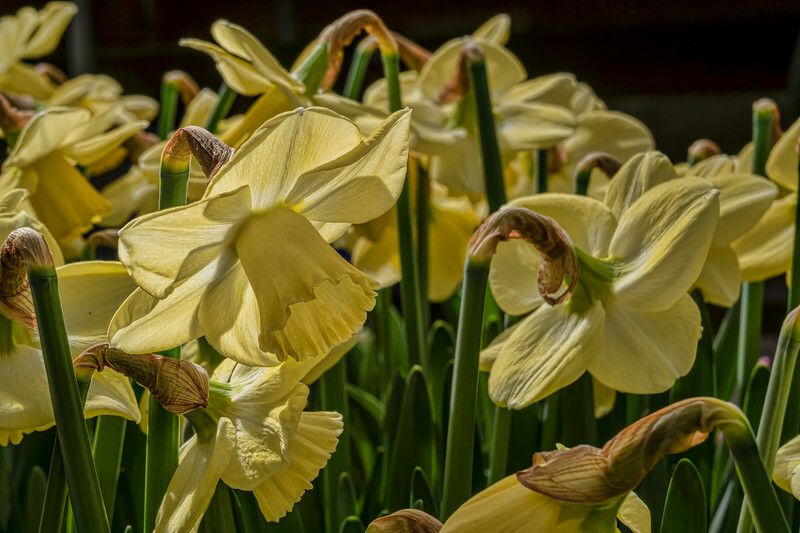 The daffodil is one of my favorite, nicely photographed. I'll bet we see more of these. Wonderful light coming through the daffodils. Is this a pale variety? Most that I see are a bright yellow, but I know there are many varieties.